PART 1: SEE / FIND / MAKE This three hour session will introduce participants to the approach, ethos and method of Architecture Fringe as a catalyst for change within Scotland. As an organisation they seek to observe and critique the culture, the practice and the output of architecture and design before utilising the resources that are immediately available to articulate new possibilities and future scenarios that will enhance our shared built environment. For three hours you will work in a group to apply this approach to an area of Kiev, working together to observe the spaces that we occupy, identify possibilities for action, acquire resources and make interventions. The session will be organic, responsive, creative and will demonstrate the potential for rapid prototyping that builds collective and individual agency within our cities. PART 2: REFLECT / DEBATE / DISCUSS This two hour session will start with reflections on the emergence of Architecture Fringe in Scotland - its context, aims, and plans for the future - then will look at Test Unit - a specific project in Glasgow, Scotland looking at prototyping in public space. 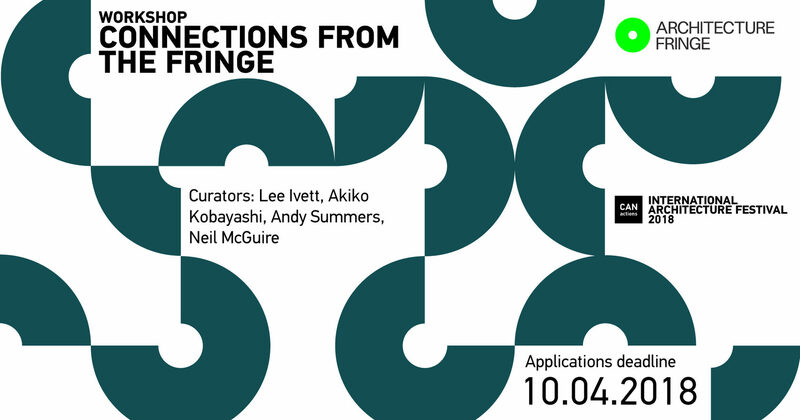 The Architecture Fringe was founded in 2015 by a group of architects, designers, photographers, engineers, visual artists and curators to encourage public debate about architecture and design in Scotland within its broader cultural and socio-political context. The Architecture Fringe is a non-profit registered Community Interest Company run by a team of dedicated volunteers. Anyone interested in initiating cultural and institutional change within their own contexts/organisations, and those interested in a 'hands on' approach to observing and engaging in the built environment.